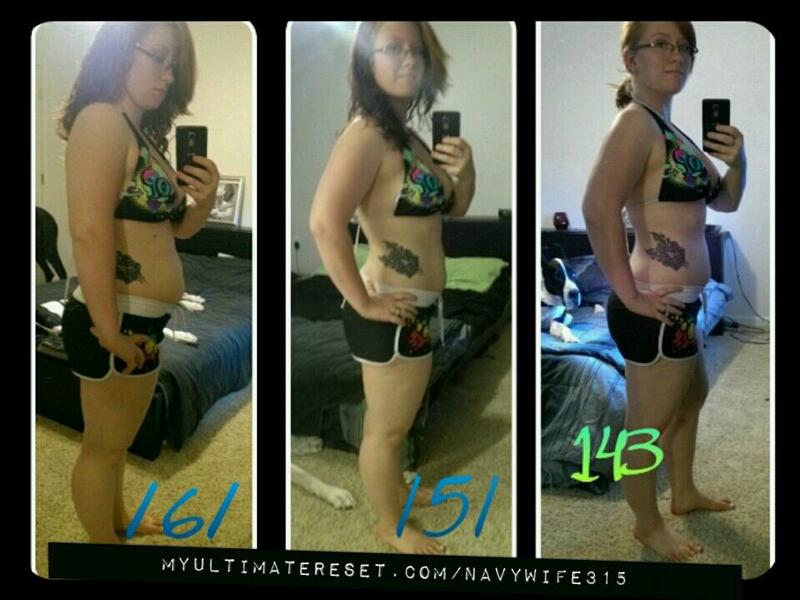 Over view of The Ultimate Reset Program! 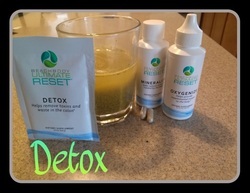 The Ultimate Reset is a complete, 3-phase daily program that provides you with everything you need to Reclaim your body’s natural balance, Release the harmful materials you may be storing within you, and Restore your system to its maximum health. No starvation diets. No harsh laxatives. 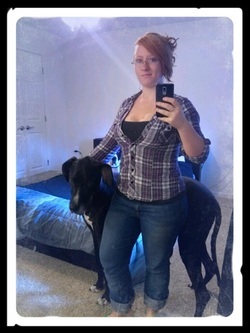 No running back and forth to the bathroom all day long. The Beachbody Ultimate Reset doesn’t punish or deprive your body—it feeds your body with all the nutrients you’ve been craving. 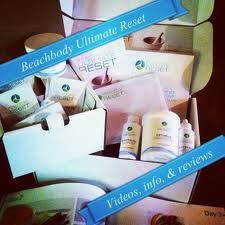 What will you get with the Beachbody Ultimate Reset? Detox, alkalinize, oxygenize, mineralize, optimize, and revitalize—just what your body needs for an Ultimate Reset. From ME, your Team Beachbody® Coach and other team members available online anytime. with all the information you need, plus a three-week eating plan with recipes, cooking tips, shopping lists, and more! How cool no guess work in what you need to buy and how much of it you need to buy! How To Reset, explaining how to get started on the program, plus the Beachbody Ultimate Reset Cooking Class!, showing you just how easy it is to prepare healthy Reset recipes. symbolizing your dedication to transforming and ultimately resetting your life—and reminding you to give thanks for all you have. to make sure you’ll never have to worry about forgetting your supplements. 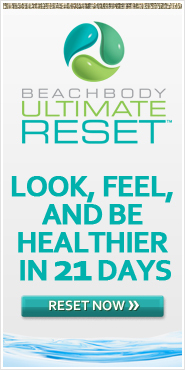 To help you succeed in transforming your life with the Beachbody Ultimate Reset, our Participant Portal contains everything you need to get the most out of the program, including easy-to-follow daily schedules, cooking videos, shopping lists, fitness and wellness tips, science and nutrition information, and an extensive support network where you’ll always find advice and encouragement! Today is Day 11! am I am VERY happy to announce am now officially under 150!!!!! If you couldn't tell this is HUGE for me! 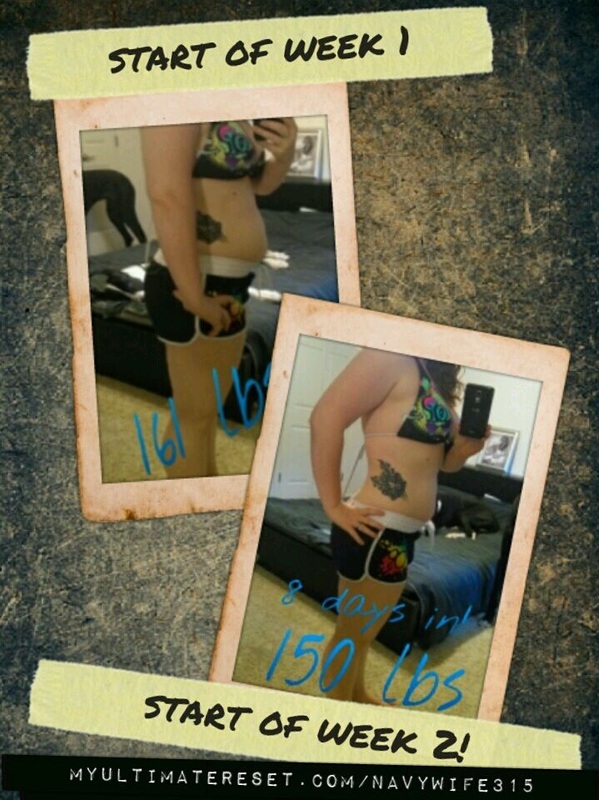 I have been stuck at 155-160 for the past ohh 3-4 months or so even with clean eating I wouldn't budge. I have to say over all I have been feeling GREAT! I have been deep cleaning my house as my reset is deep cleaning me. The only bad thing is Yesterday had some serious nausea. I am not sure what from. I am thinking lunch, but not sure. I also think I burnt my throat yesterday when trying to eat a piece of steamed broccoli right from the basket...BAD IDEA, as now I can "feel" where that little green veggie got me! Overall though, can't complain as I have not had those aches and pains others have while on the reset!